Celebs Now | Prize Draw - FRUITTELLA TO GIVE AWAY A SWEET TREAT! FRUITTELLA TO GIVE AWAY A SWEET TREAT! As a nation of sweet lovers, we all love a treat – especially one that you can share and enjoy with family and friends. And thanks to Fruittella, you can do just that, as we’ve got a selection of its new 30% Less Sugar range AND an Annual Merlin Family Pass worth over £550 to giveaway to one lucky person! 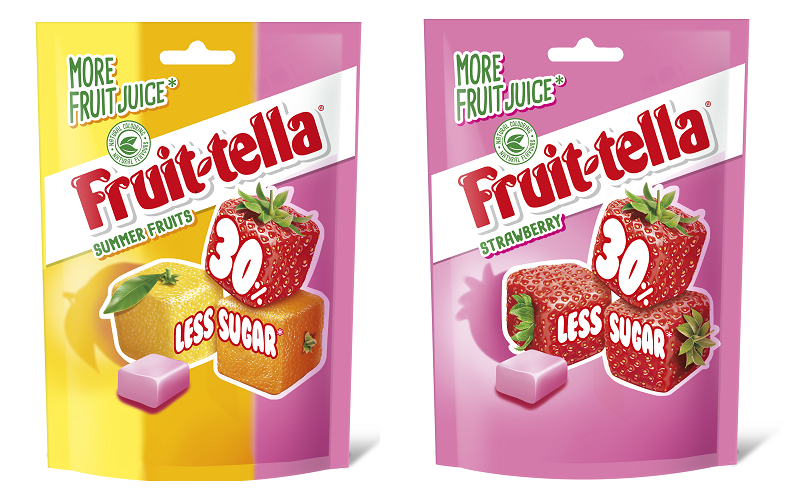 Perfect for those who love the unmistakeable taste of Fruittella, the 30% Less Sugar range is available in Fruittella’s famous Strawberry and Summer Fruits flavours, as well as the new delicious gummies and jelly foams – all with even more fruit juice. And now, thanks to Fruittella, you could enjoy the sweet tastes of the 30% Less Sugar range as well as treat your family and friends to a number of special days out. So, whether you want to take a trip on the captivating London Eye, or mingle with the glitz and glamour at Madame Tassauds, the choice is yours. The prize: Fruittella 30% Less Sugar range AND an Annual Merlin Family Pass worth over £550!